The average price for this game since released is $27.24. The game first became 50% off on Dec 4, 2015 at Amazon. Lowest historic price was $4.99 on Jan 20, 2017 at Best Buy. Originally a $63 purchase, today the Skylanders SuperChargers Starter Pack on PS4 is down to $19 at Amazon. New low by $15 and a massive 70% discount for the September 20th released Pack. The Xbox One version is selling for $22. Skylanders SuperChargers Starter Pack dropped to $34 at Amazon - a new low by $16. 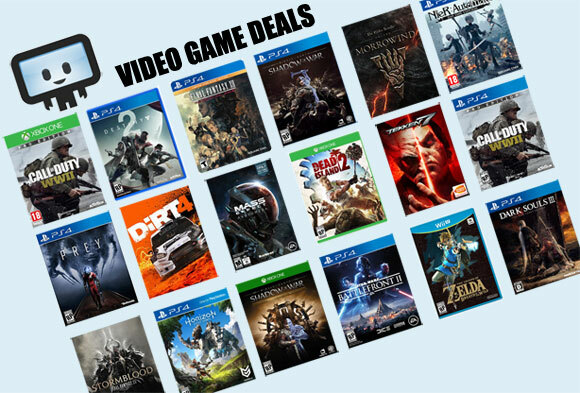 Same discount for Xbox 360 and PS3. Price is good for today only. Skylanders SuperChargers Starter Pack on all consoles ties its all time low today on Best Buy's eBay store page. Twenty five bucks off the $75 list price. The average price for this game since released is $27.49. The game first became 50% off on Jul 28, 2016 at Best Buy. Lowest historic price was $4.99 on Jan 20, 2017 at Best Buy. New low by, well, a rather ridiculous margin compared to the final price on this Skylanders SuperChargers starter pack for Wii U. Two months ago, the all-time low was $40. The average price for this game since released is $31.49. The game first became 50% off on Dec 4, 2015 at Amazon. Lowest historic price was $4.99 on Jan 20, 2017 at Best Buy. The average price for this game since released is $28.97. The game first became 50% off on Nov 21, 2014 at Walmart. Lowest historic price was $4.99 on Jan 20, 2017 at Best Buy. Another Best Buy gaming gem spotted Skylanders Trap Team Starter Kit on the PS4 and Wii. Oddly the Xbox One version not available at this price. The average price for this game since released is $30.18. The game first became 50% off on Nov 27, 2015 at Microsoft. Lowest historic price was $4.99 on Jan 20, 2017 at Best Buy. The average price for this deal since released is $30.34. Lowest historic price was $5.97 on Jun 10, 2016 at GameStop. If you think Spyro the fire-breathing dragon is the cutest epic character, then Skylanders: Spyro's Adventure is for you. In an enchanted world of gold and treasure called Skylands, players become Portal Masters who summon up to 37 playable characters to embark on an exploration of untapped lands, battle against creatures, solve puzzle, and save the world from Kaos. Each character, including Spyro, can be unlocked to discover their unique abilities. Characters will gain experience points to upgrades and special abilities. To play Skylanders: Spyro's Adventures, action figures are placed on a console peripheral called "Portal of Power". The Portal of Power is compatible with Mac, PC, 3DS, PS3, Wii, and Xbox 360. The game package initially comes with 1 or 2 action figures, while other action figures, including Spyro, Dark Spyro, and Legenday characters, are sold separately.